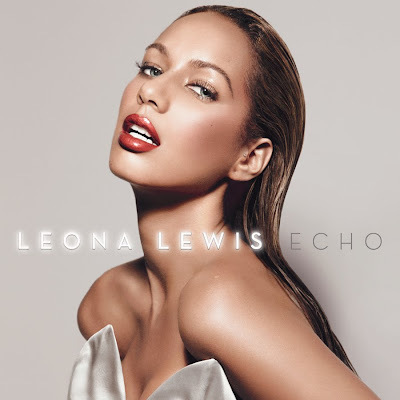 When Leona Lewis first appeared on TV in 2006, auditioning for Series 3 of The X-Factor with her rendition of "Over The Rainbow," she probably had little idea of how much her life was about to change. After her run on The X-Factor ended with a win, Lewis went on to hit the top of the charts in the UK with her first single, a cover of Kelly Clarkson's "A Moment Like This." Well, one #1 lead to another which lead to another, with both "Bleeding Love" and Lewis' debut album Spirit going #1 in UK and U.S. Spirit went on to become Britain's fastest-selling debut album. Not only that, but Lewis was the first British artist ever to debut in the top spot on Billboard's album chart with a first album. Quite an accomplishment for such a young, previously unheard of artist. This girl is definitely going places. As soon as I learned that Lewis was beginning work on her second album, I had immediate high hopes. While Spirit was a beautiful album, on a personal taste level, big, lush ballads don't really do it for me. Don't get me wrong, I agree that when you have a set of golden pipes like Lewis certainly does, there's no reason why vocals should take a back seat to slick production and dance beats. The voice needs to be showcased, front & center. That being said, there has to be a happy medium. Unless you're targeting an older crowd, having one ballad after another after another just a bit boring. Things were looking up when Lewis released Spirit in the U.S. (re-releasing it in the UK) with bonus tracks like the up-tempo Akon-produced club jam "Forgive Me," an indication, I hoped, of what we could expect with Echo. That was not to be, as Echo follows the same format as Spirit in terms of ballads. According to the press release, "who could blame Lewis if...she wanted to stick to the lush balladeering that made Spirit such an extraordinary success." Fair enough. Her ballads ("Bleeding Love," and "Better In Time") did fare slightly better in the charts (#1 and #2 respectively on the UK Singles Charts) than the up-temp single "Forgive Me" (#5 on the UK Singles Charts) but come on! Lewis could have experimented a little bit more with her sound, right? I know there's something to be said for the whole "if it ain't broke, don't fix it" mentality but I really was hoping for a bit more here. With producers on board like Max Martin (“I Got You,” “Outta My Head”), Ryan Tedder (“Happy,” “You Don’t Care,” and “Lost Then Found”), Kevin Rudolph ("Love Letter"), and others I was hoping for a greater variety, sonically speaking. Don't get me wrong, Lewis sounds flawless in absolutely every track but that's not the point here. She has the kind of voice that suits all musical formats - from Top 40 Radio, to R&B to Dance. Echo is predominantly adult contemporary-fare and I'm left disappointed. According to the label, "Echo...finds the 24-year old expanding her palette beyond her signature ballads and seeking additional adventurous sonic territory," siting the "sleek, stylish electro-pop" found on dance floor-friendly "Outta My Head," the "synth-driven" "Fly Here Now," the "rock-driven" "Love Letter" and the "edgier" "I Got You." This is all fine and good but at the end of the day it's still an album full of ballads. All of this aside, the album is well produced, beautifully-written and gorgeously sung. In addition to writing with some of the industry's most sought-after hitmakers (including Justin Timberlake), Lewis herself co-wrote nine tracks on the album. 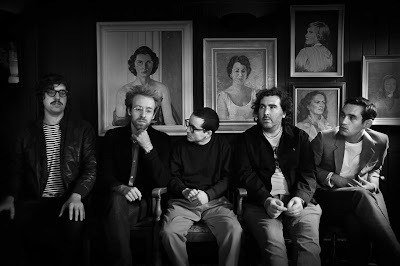 "I really wanted a dramatic, almost cinematic quality to the songs," says Lewis. I think to an extent, Lewis succeeded here. First single "Happy," while not as big an entrance-maker as "Bleeding Love" is pretty amazing to hear sung live. I also have to admit that I am on the verge of tears every time I see a television promo spot for that new film Precious, prominently featuring "Happy." According to Lewis, "I'm...more confident with this album than the last. I've taken more control this time and I feel more at ease with everything." I agree with this sentiment, and while it's nice that she feels more confident I'm hopeful that her third album takes that confidence and explores new territory with it. Lewis is undoubtedly talented, Echo just is just a bit safe for my tastes. Look out for Lewis' first world tour in 2010. Echo is available now in stores. Check out the track listing below. Orange denotes my favorite/recommended tracks. The tour will consist of the boys playing new album tracks as well as hitting us with old favorites from their three previously released albums. 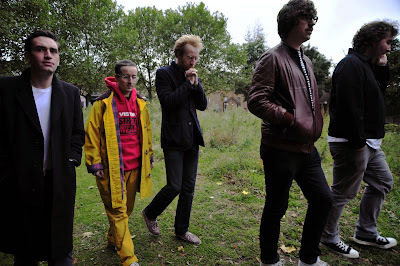 Frontman Alexis Taylor revealed to NME Magazine that the new album would be a much "calmer" affair, saying that "the songs are more mid-tempo and disco influenced" this time around. I like the sound of this, although the interview was over a year ago so who knows how much things have changed since then. The band will be touring the UK in February in support of the new record, followed by a trip across the pond in the Spring. According to the label, fans will have the chance to pre-order the album on amazon.com now. 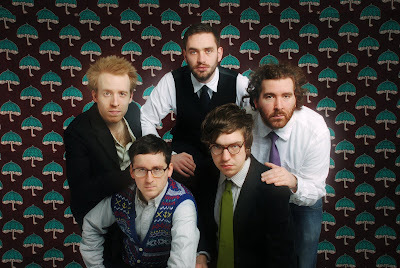 Fans should keep checking back to see what's new in the Hot Chip artist store at amazon.com. Expect exclusive streams and webisodes from the band. Check out the album's tracklisting below. 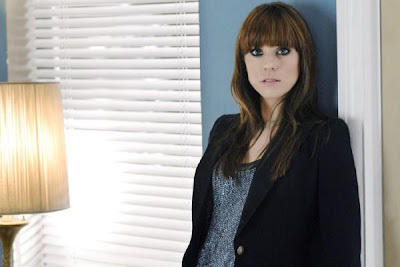 While Melanie C is planning to release her fifth studio album sometime in 2010, at the moment the former Spice Girl is enjoying rave reviews as Mrs. Johnstone in a new West End production of the award-winning musical, Blood Brothers. Brothers tells the story of two twin brothers separated at birth, "re-united by a twist of fate and a mother’s haunting secret." London's The Daily Telegraph calls Melanie's debut "absolutely sensational"," going on to say even "If you have [seen Blood Brothers], you will need no further encouragement [then] to see it again with Melanie C now in such glorious form." The London Evening Standard adds "If we already knew she could sing, we might not have guessed she'd prove this adept in acting." This is very exciting news indeed. More often than not, a celebrity appearance in a play or musical is more spectacle than anything, leaving much to be desired in terms of singing and acting ability. This doesn't appear to be the case with Mel C, whom we already knew could sing. Acting seems to come naturally to the star as well. Well done Melanie! Still looking forward to your new "rockin'" album.